Sat Nav specialist Navman is rolling out four new Freedom in-car kits over the next few weeks, based on its successful Freedom F20 model. 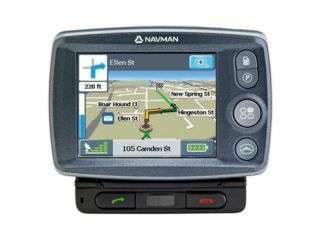 Navman told Tech.co.uk at a briefing today that it would be offering four flexible new packages that build on the functionality of the F20 by adding extras such as additional European maps, TMC traffic information and a Bluetooth hands-free module. The Freedom F20, which sells for around £149, is based around a unit with a 3.5-inch touchscreen display that offers a user-friendly Sat Nav package. It has all the regular route planning plus 3D and 2D navigation features, with embedded maps for the UK including points of interests and pre-installed traffic camera information. Based on the same F20 unit, the new F20 Europe, at £179, adds mapping in 21 Western European countries via a plug in SD card with safety camera information for 7 countries. The F30 package adds to the F20 unit with a real-time TMC traffic module providing subscription-free traffic information for £199. The F40 has European maps and Bluetooth functionality, using a hands-free module that can pair up with up to five different Bluetooth-enabled mobile phones, with caller ID displayed onscreen. This package costs £229. The F50 provides Bluetooth hands-free capability plus TMC traffic information via a holding cradle module, in a kit costing £249. All four new packages are expected to be in the shops by mid-March.